The CNB 66’s flowing and well-proportioned lines conceal exceptional volume, exploited with all CNB’s expertise. In and out, elegance combines with simplicity through maximum integration of equipment and fittings. 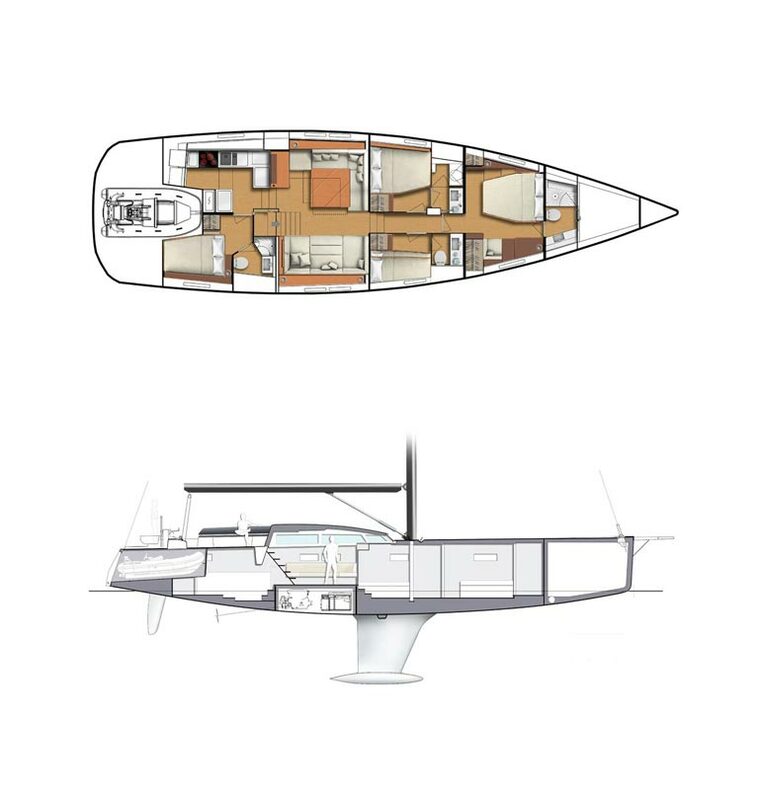 The CNB 66 has 4 cabins, including an owner's suite at the bow, and a more secluded cabin aft can be used for crew, guests or casual crew. 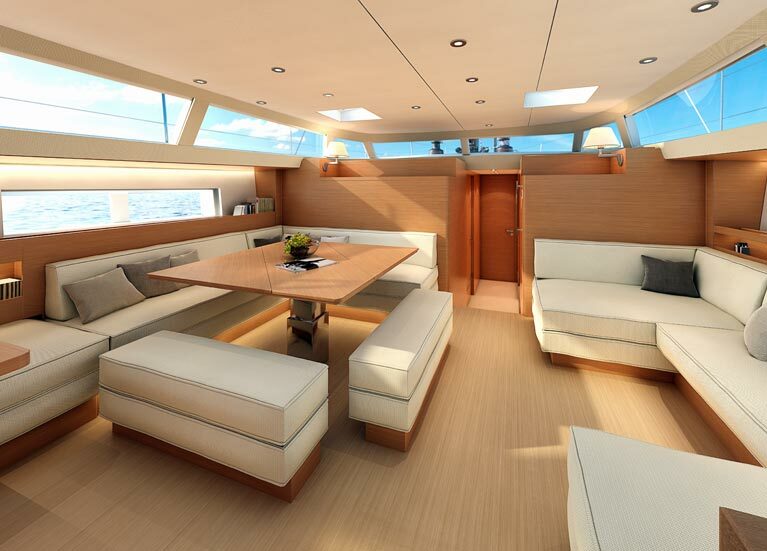 The central area, with the bar linking the saloon and the separate galley, is particularly large. It is bathed in light by virtue of its panoramic roof glazing.